Things to see and do : Dal & Nageen Lakes, Mughal Gardens, Shankaracharya Hill, Old City monumnents (Dastgir Sahib, Jama Masjid, Khanqah, and Rozabal Shrine). When to go : June through October, December & January for snow. 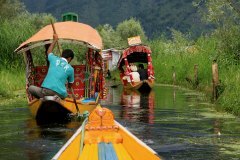 Stay in a houseboat to get the true Srinagar experience. Evening Shikhara rides are very romantic. Things to see and do : Baisarn & Tulian lakes, Betab & Aru valleys. 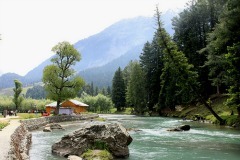 If you are driving up from Jammu to Srinagar, then Pahalgam is a good place to take a break for a couple of days. Don’t forget your trekking shoes. 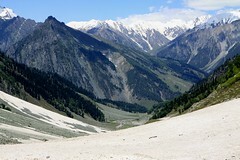 Pahalgam offers excellent trekking opportunities. Things to see and do : Gondola rides up the mountain, leisure walks through the meadows, and skiing. It is better to purchase the Gondola (cable car) tickets from Srinagar so that you don’t have to wait in line once you get to Gulmarg. Avoid going to Gulmarg as part of a day trip from Srinagar. One needs to stay there for at least one night. 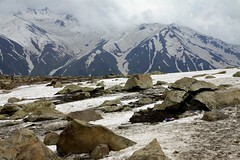 Things to see and do : Thajiwas glacier, leisure walks through the meadows, trekking. Try the local cuisine at the small eateries along the highway. Always take a guide along while trekking in snow. Some sections have very thin ice. Yes you can go the gondola gulmarg website and can book tickets.